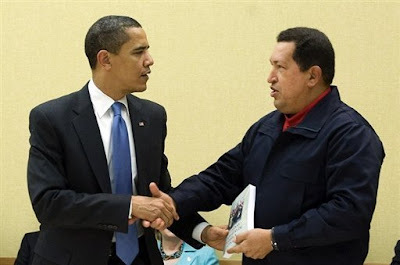 On April 18, 2009 Venezuelan President Hugo Chavez publicly handed President Barack Obama a copy of Open Veins of Latin America: Five Centuries of the Pillage of a Continent by Eduardo Galeano, a book on the exploitation of Latin America. 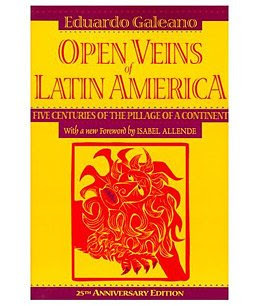 Galeano, a Uruguayan journalist, explains how Europe, and later the United States were responsible for the obliteration of indigenous people by Spanish conquistadors to the destructive cycles of foreign debt, investment and capitalism, Galeano lays out the Latin American saga from 1492 to the 20th century. 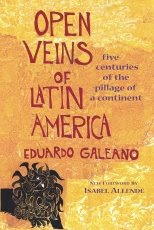 "This brilliant text has set a new standard for historical scholarship of Latin America. It is also an outstanding political economy, a social and cultural narrative of the highest quality, and perhaps the finest description of primitive capital accumulation since Marx", wrote Monthly Review, a widely respected publication since May 1949. "Obama is a centrist Democrat. He never really pretended to be anything else. And he's moving towards a kind of a centrist position. He's very popular in Europe, not so much because of him, but because he's not Bush. So there is the kind of rhetoric that the European leaders and, in fact, the European population tend to accept. In fact, you know, even in the Middle East, where you'd think people would know better, they accept the illusions. And they are illusions, because there's nothing to back them up. So, yes, he is different from Bush", said Noam Chomsky. 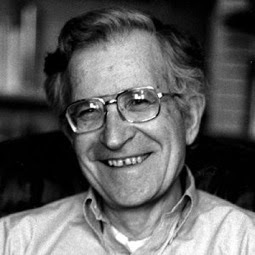 On April 14, 2009 Chomsky, a world-renowned linguist, philosopher, social critic, and Professor Emeritus at the Massachusetts Institute of Technology was interviewed by Amy Goodman of "Democracy Now" wherein he also referred to the conditions in India and China. India and South Asia too has suffered like Lation America but one wonders whether there is a book that open the veins and arteries of the South Asian subcontinent. you sort of get better data, so you can see what's happening. China is kind of closed. You don't see what's going on in the peasant areas, which are in turmoil, you know. They have environmental problems. They have huge—hundreds of millions of people are kind of like at the edge of starvation. We don't have—you know, we have problems, but not those problems. And even the industrial growth, which is there—you know, for part of the population, there's been improvement. But when you take, say, India, where we know more, in the areas where high-tech industries developed—and it's pretty impressive. I've visited some of the labs in Hyderabad. You know, it's as good or better than MIT. But right nearby, the rate of peasant suicides is going up, very sharply, in fact. And it's the same source. It's the neoliberal policies, which privilege a certain sector of the population and a certain—and let the rest take care of themselves."